Manchester City are on a run of five wins in their last six Premier League outings and welcome Chelsea to the Etihad on Sunday. 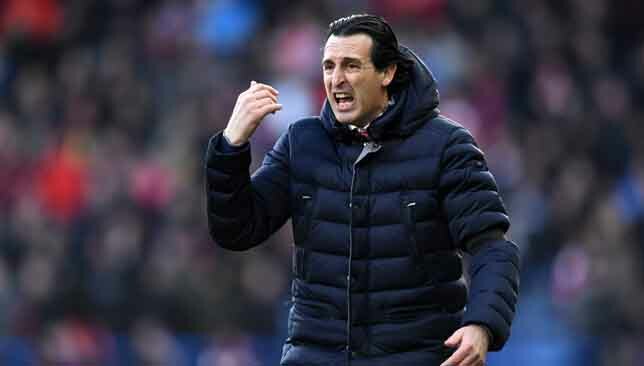 Here, we preview Maurizio Sarri’s side of the tactical battle ahead of this encounter. Check out City’s key tactics here. Apart from his involvement in N’Golo Kante’s opener then, Hazard was largely a peripheral figure when Chelsea beat City 2-0 at Stamford Bridge earlier this season. The 28-year-old will return to his preferred left wing role this time. Sarri is encouraged by the growing relationship between him and Higuain. That is aided by Hazard’s freedom to tuck inside and operate behind the striker during certain passages of play. In possession, the marauding Marcos Alonso then has the freedom of the left wing to attack. With either Pedro or Willian pressing forward on the opposite flank, Cesar Azpilicueta can hang back as the back-line shuffles across as a three to ensure they’re not overly exposed in the event of a turnover. 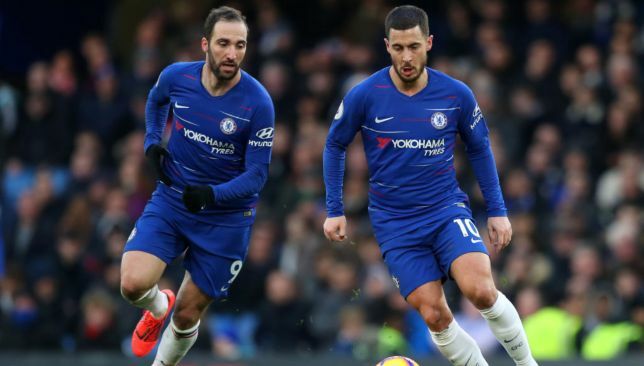 The last time these sides met, Hazard was deployed up front but with the arrival of Higuain in January, City will be faced with a completely different problem. Unlike the Belgian, keeping him facing away from goal without options in close proximity doesn’t negate his effectiveness. The Argentine is well-versed in the art of holding up play or even using his strength and body position to roll a defender who gets too tight. What Higuain also offers over the likes of Olivier Giroud and the now departed Alvaro Morata is a vertical option. The Blues keep the ball well but struggle to penetrate the back-line at times. 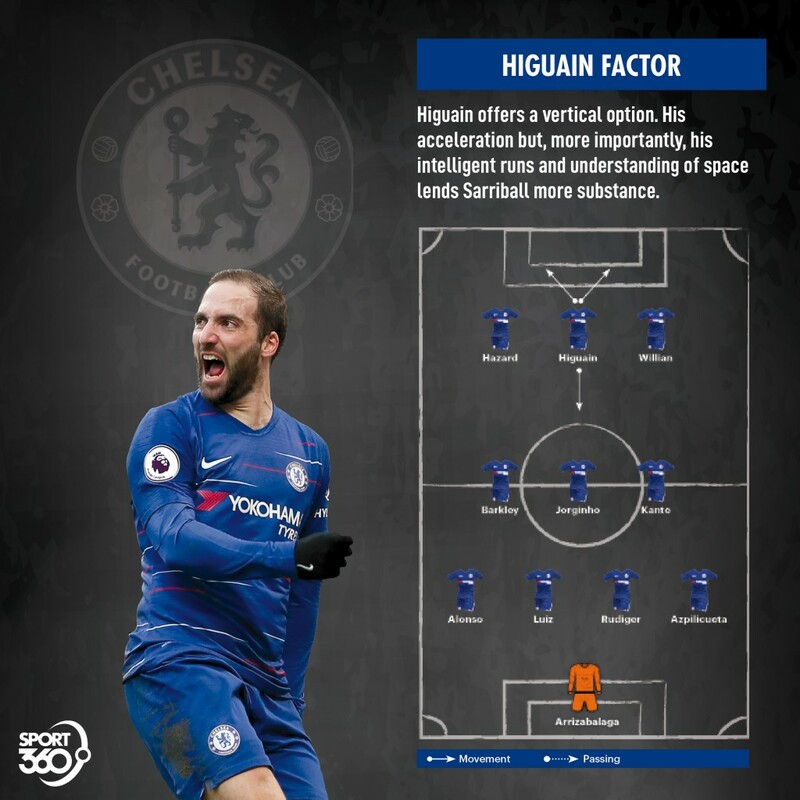 Higuain’s acceleration but, more importantly, his intelligent runs and understanding of space lends Sarriball more substance. Here, we preview Guardiola’s side of the tactical battle with Maurizio Sarri ahead of this encounter. Check out Chelsea’s key tactics here. Much was made of Fernandinho’s role in City’s 3-1 victory over Arsenal when he operated as a centre-back but regularly stepped into midfield. However, he’s unlikely to reprise that role against Chelsea. Arsenal’s slow build-up play meant exposure in the transition was not a massive risk and so City could benefit from the extra man in midfield. Chelsea boast more pace on the counter and have the central midfielders to exploit gaps in the back-line. Aymeric Laporte playing as a makeshift left-back means the back four may be a little lopsided with Kyle Walker being the more attacking full-back. 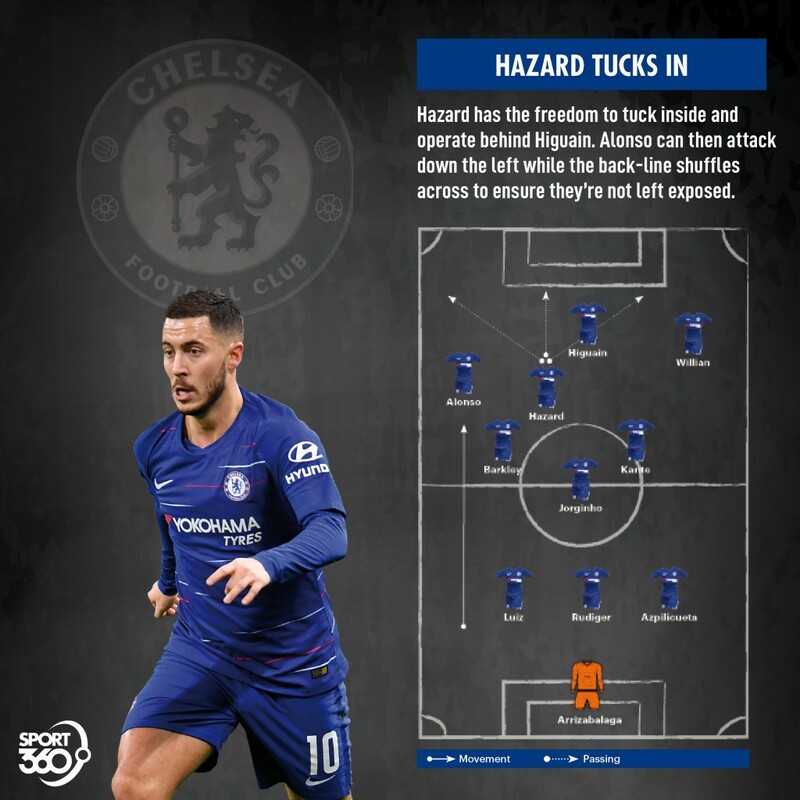 Fernandinho will therefore focus on shuttling wide to cover for the right-back or attempt to pick up Eden Hazard when he drifts into central areas. 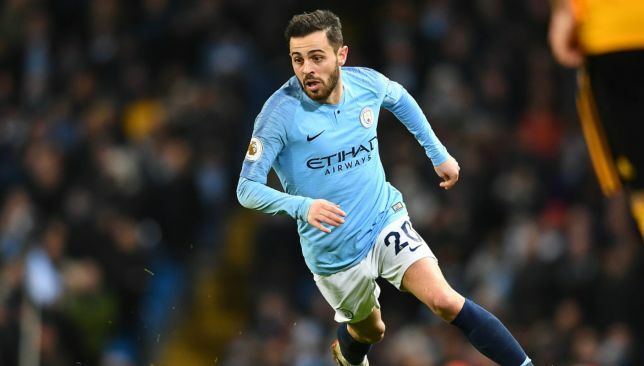 City’s win over Liverpool in January was one of great intensity and Bernardo Silva played a huge role in it. The diminutive Portuguese has proved he’s capable of some big performances, covering a massive 13.7 km on that occasion as well as providing an assist and recovering possession 10 times. As such, Guardiola will be tempted to play him in midfield, possibly ahead of Kevin De Bruyne who is only starting to get back to his best. Jorginho has been key to Chelsea’s play and naturally a target for oppositions. Suffocate the Italian playmaker and you can negate the team’s threat. Bernardo may just be the perfect man for the job, not only to keep Jorginho quiet, but also hurt the visitors in the transition.